Blog / Weekly report 08/10. 1. While contract creation on EOS we have faced the account creation problem. In EOS you can’t create an account by yourself. You need to ask a friend or use a service. Now you can do it with MyWish: http://contracts.mywish.io/ . 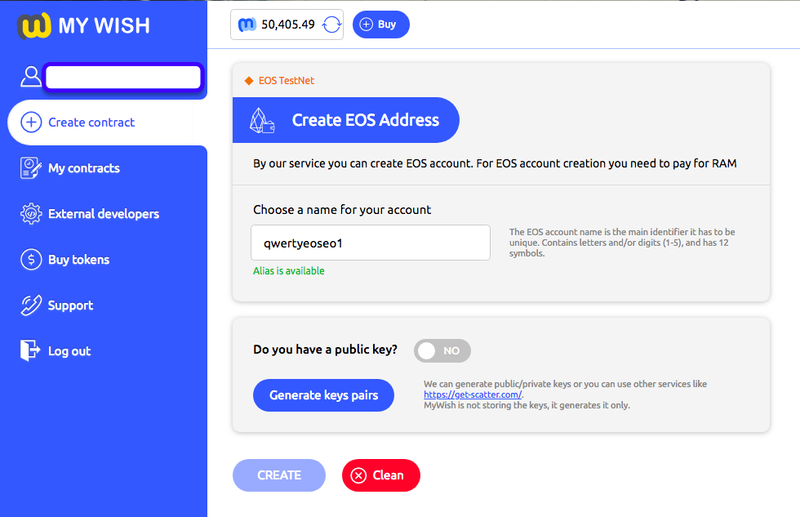 Please welcome EOS Account creation service. We believe it will be the first step for users who will use our platform for contracts creation. 2. EOS contracts creation & integration status: 63% completed. Token contract will be released on the 17th of August. As a leader in the smart contract field, MyWish has received some partnership offers and from ICO agencies, as a marketing team we are currently considering these offers. 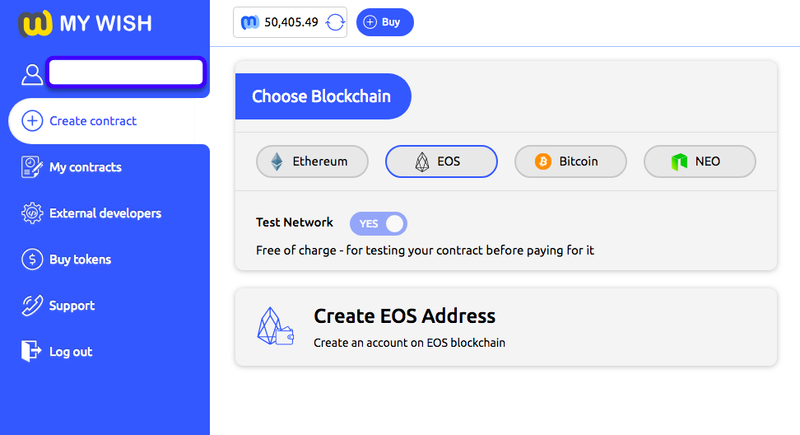 We are continuing our marketing strategy for promoting the integration With EOS and EOS account creation with the help of our PPC managers, PR department and our community department including much work on channels and pages. We are constantly getting feedbacks from our clients, Here is one of them. We published (Smart Fund) a New article written by Vladimir Tikhomirov, He talked about how small investors can easily invest using the Investment Pool contract. We are planning for something great and it will be a big surprise for our investors, However, we will announce it in September.